Taking a honeymoon cruise is a great way to combine seeing many new destinations with luxurious pampering at the spa and relaxing by the pool. Since most cruise ships cater to couples, you get to choose from many exciting itineraries for every budget and length of travel. If you are short on time, go on a quick 4-day trip to the Caribbean or Bermuda. If you have a week or two, visit exotic destinations in Asia or go on a romantic river cruise in Europe. When choosing the best cruise for you, cosider the time of travel. Summer is a great time to cruise to Alaska and the Mediterranean, while in the winter you should visit tropical islands, and destinations in the Southern Hemisphere such as Australia and New Zealand. The choice of activities is important as well, especially if you are an adventurous couple. Look at land adventures offered by different cruise lines before you make your final pick. Remember to book your activities, couples' massages and a romantic table for two ahead of time so that you get exactly what you want on your honeymoon. 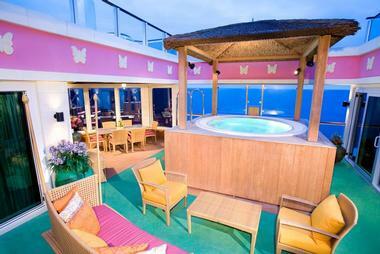 Made famous by the TV series "The Love Boat", Princess Cruises is known for romantic touches. 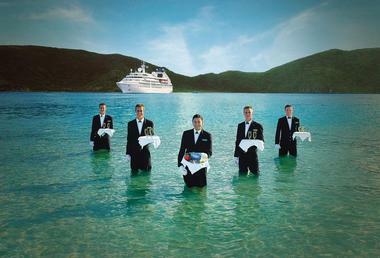 The cruise line offers two honeymoon and anniversary packages. The "Celebration Package" starts at $149.99 and includes extra romantic amenities such as champagne, roses, portrait and chocolates. You can add a massage for an additional fee as well. Explore the glaciers of Alaska by taking the "Voyage of the Glaciers" cruise from departs from Vancouver, British Columbia and cruises to several famous ports. 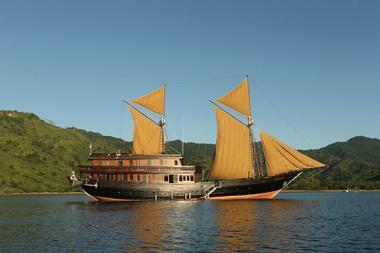 This stunning traditional timber phinisi sails around the islands of Eastern Indonesia, offering amazing diving, swimming and sunbathing. 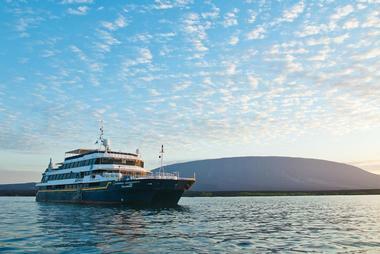 This vessel can accommodate 14 guests in 5 air-conditioned cabins. Take an amazing voyage to the Komodo Islands, a UNESCO World heritage Site, to see the incredible Komodo Dragon, the world's largest lizard which grows up to 10 feet in length. Some can weigh as much as a person, up to 150 pounds. Tiger Blue lets you customize your itinerary and activities, from scuba diving to custom tours in some of the most fantastic destinations around the world. (tigerblue.info). With Celebrity Cruises, you'll be able to choose from countless itineraries world-wide, including Alaska, Asia, Bermuda, Bahamas, Canada, New England, Panama Canal and many others. The cruise line offers several romantic add-on packages which are great for a honeymoon celebration. The "Deluxe Romance Package" starts at $120 and includes breakfast in bed, rose petals on the bed in the evening, chocolate dipped strawberries and a bottle of champagne. In the winter, look at Southern Caribbean Cruises which depart from San Juan, Puerto Rico. In the summer, the 10-night Norwegian Fjords Cruise is spectacular. It departs from Harwich, England. If you are looking for a small luxury ship for your honeymoon vacation, take a look at Sea Cloud cruises. The yachts are very private and romantic, complete with white sails, pristine decks and five star service. 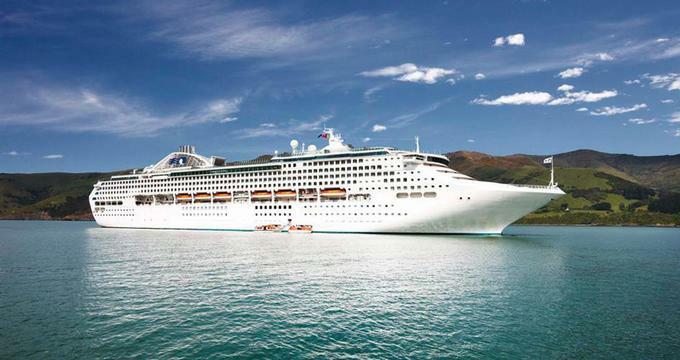 4-night luxury cruises start at $2,295 per person. 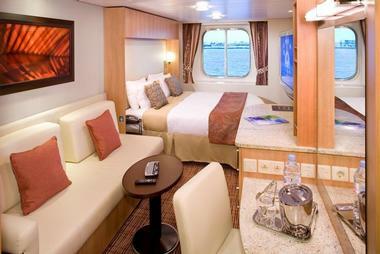 Sea Cloud can accommodate up to 64 cruise passengers and features elegantly furnished cabins. Luxury owner's cabin No. 1 is the most luxurious, measuring 410 sq ft (38 sq m) and features a King size bed, sitting area, Louis XIV-style decor and a bathroom with natural light. With a diverse choice of itineraries in the Bahamas, Caribbean, Bermuda, Hawaii, Alaska and the Mediterranean, Norwegian offers couples many options. Get couples' massages at Mandara spa, have romantic dinners and enjoy diverse activities. The Honeymoon Package starts at $149 and includes: chocolate-covered strawberries, wine, canapes, roses, dinner and a portrait. If you want to make your cruise extra romantic, you can add this package. If you want to explore the Hawaiian islands, Norwegian is a great choice, offering frequent sailings that will let you fully experience the islands. Sign up for a helicopter tour, submarine ride or a round of scenic golf on your trip. During a 7-night Hawaiian honeymoon cruise, you will visit many famous ports. Seabourn is a great choice for couples looking for an ultra luxury experience. 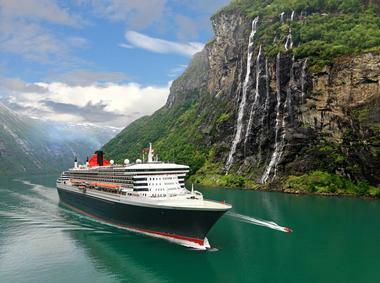 These ships are famous for their amazing service and elegant accommodations. 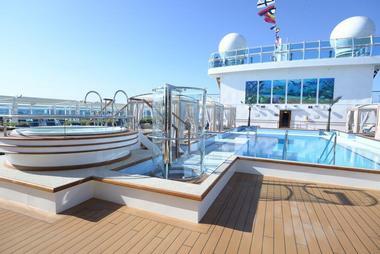 Two of the ships accommodate just 208 guests, while the other 3 can accommodate up to 450. You will get all-suite accommodations, have access to the signature water sports Marina, and enjoy an open-bar serving premium wine, champagne, spirits, and snacks. There are many fun shore excursions to choose from in destinations around the world. Take the 16-day great barrier reef & gold coast cruise which departs from Benoa (Denpasar), Indonesia and visits Benoa (Denpasar), Indonesia ; Lembar, Komodo Island, Indonesia; Darwin, Australia, Cairns, Townsville, Hamilton Island and Sydney. 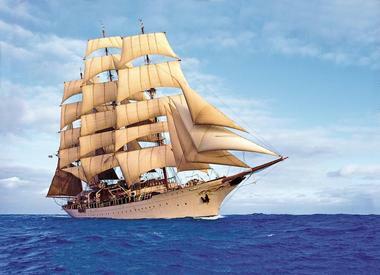 Take a honeymoon cruise aboard one of these grand ships and enjoy luxury accommodations combined with five star service. The cruise line offers several celebration packages perfect for couples planning a romantic trip. The "Deluxe Bon Voyage Package" includes: champagne, chocolates, portrait, breakfast in bed, flowers, $100 spa gift certificate and bathrobes. If you want to visit unique destinations aboard a specially designed vessel that can reach remote place, book a trip with Lindblad Expeditions. The cruise line offers voyages in North America, South America, Europe & Mediterranean, Southeast Asia & Pacific, Polar Regions, Africa & Indian Ocean. If you've always wanted to visit the Galapagos, your honeymoon is a great time to go on a special journey. The cruise line will provide you will all the gear and plenty of individual attention aboard its specially designed ships National Geographic Endeavour and National Geographic Islander. Lindblad's cruises to Antarctica and the Arctic are legendary - you will get to see amazing wildlife and get close to huge icebergs. Cruise aboard one of the most luxurious liveaboard Phinisi ships in Asia and explore tropical rainforests and remote islands. The ship has just five suites furnished with custom-made teak and rattan furniture and wraparound windows offering 180-degree views. The ship has its own fully licensed PADI dive center, a spa therapist and plenty of space for relaxing. Visit some of the most scenic sights in Bergundy aboard a luxury barge, including vineyards, historic castles and fields of sunflowers. 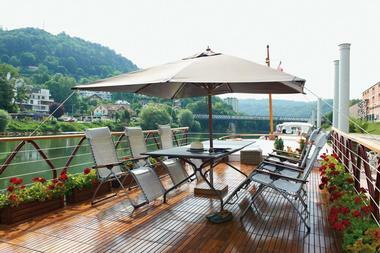 Belmond Afloat operates 5 luxury barges offering several exciting itineraries in France. Belmond Amaryllis: Dijon to St Léger sur Dheune is a 7-day, 6-night journey through Burgundy during which you'll be able to taste the best local food and wine, explore traditional markets and beautiful ports. 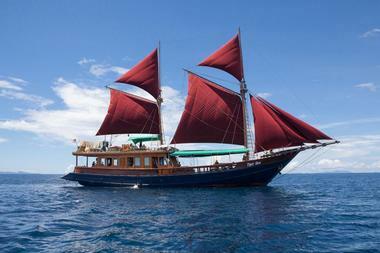 This is perfect honeymoon cruise for couples who love food and vine. Prices start at from $8,138 per person. Click here for more cruise vacation ideas.